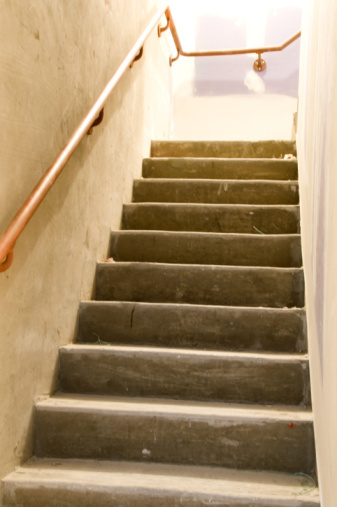 Have you noticed that many small household repairs require three hands to complete the job? 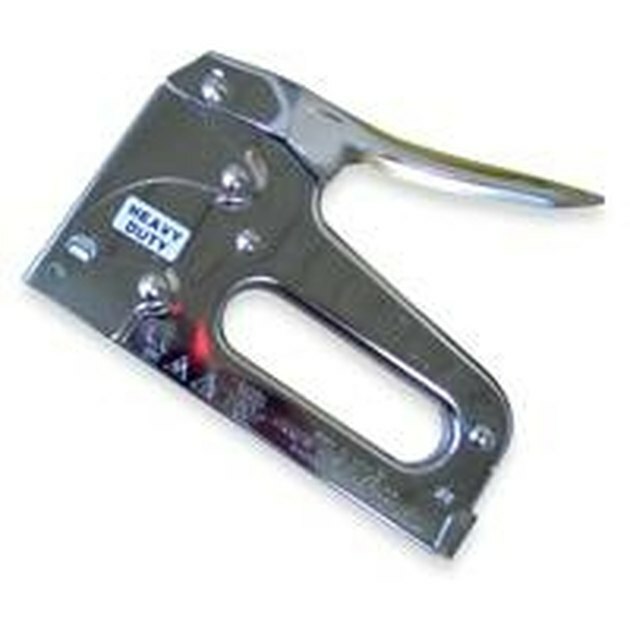 Try using a staple gun that you can operate with one hand while you hold the item with the other. There are very inexpensive staple guns that are good for light jobs such as attaching crepe paper to a cork board. And there are professional, heavy-duty electric and pneumatic staple guns used in building houses. Somewhere in the middle are models such as the Arrow T50 staple gun that suffices for most household jobs. 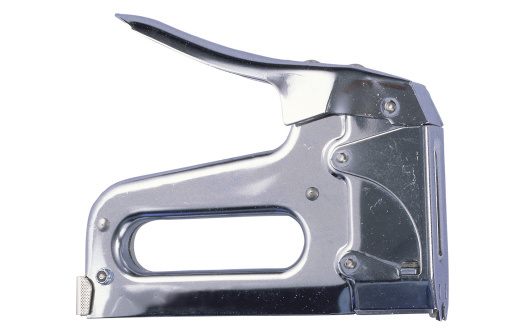 It is easy to operate, and loading the staples is a snap. Read the instructions that came with the stapler and observe the tool closely as you read about its features and operation. Ensure that you have the correct size staples for the job. Heavy-duty repairs usually require larger staples that will penetrate deeper into the stapled surface. Press in on the staple track release that is located on the lower back corner of the stapler. This causes the spring-loaded piece to pop out toward you. Observe the position of the release in the track before grasping the release and pulling out the long, spring-loaded staple pusher. Slide a length of staples into the track, ensuring the points are facing downward. Slide the long staple pusher back in along the track and push on the release to snap it into place.